WARNING: Anyone with access to your computer can track what internet sites you have visited by checking your web browser's cache or history functions. If you are a victim of domestic violence or stalking, or fear that your partner may be monitoring your behavior for any reason, it may be safer -- but not totally risk-free -- to access certain sites from a public library or other secure place that your partner can't access. Since current telephone technology also stores data about in-coming and out-going calls, please also remember to clear data after every call that might present a risk to your safety. If you have the slightest concern for your safety, contact a local domestic violence program directly for information and support or call the National Domestic Violence Hotline at 1-800-799-SAFE . 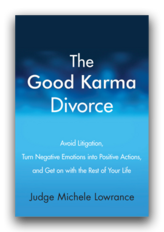 If I were just going to recommend one book about divorce, it would be Michele Lowrance's book, The Good Karma Divorce. Written by a judge who's presided over many acrimonious divorces and intuited a way to help people find a new approach that leaves them more capable and resourceful. 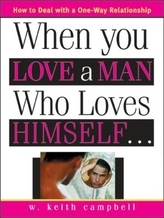 This book will help you find a path through divorce that leaves you with your dignity and self-respect intact. Diane Vaughan. Uncoupling: Turning Points in Intimate Relationships. Vintage Books (Random House), New York, NY. 1990 (sociological research on the patterns of marital breakdown and establishment of individual identities that occurs before, during and after divorce.) It's not the most easy-to-read of the books about divorce because it's on the scholarly side, but it explains why the emotional impact of divorce seems so much more pronounced in the non-initiating partner. Albert J. Bernstein. Emotional Vampires: Dealing with People Who Drain You Dry. McGraw-Hill. New York, New York. 2001. Bloomfield, Colgrove, and McWilliams. How to Survive the Loss of a Love. Mary Books/Prelude Press. Algonac, Michigan. 1976. (Over 3 million copies in print. A classic!) It's a quick read, divided into dozens of one or two-page suggestions. Lots of people swear by it. I personally found it too simplistic, but hey, I'm a lawyer -- I'm all about complexities. Elizabeth Lesser. Broken Open: How Difficult Times Can Help Us Grow. Villard. New York. 2005. Susan Forward and Craig Buck. Obsessive Love. Bantam Books. New York. 2002. Byron Katie. Loving What Is. Three Rivers Press, New York. 2003. While it's not a book about divorce, this book can make a huge difference in your life. Katie teaches a technique for questioning the stories we tell ourselves about what's happening to us and people's motives in behaving as they do. If you're not a reader, watch the You-Tube videos showing her putting the technique into action with real people. I've linked some of them below. Chȍdrȍn is a Buddhist priest and wise woman who may help instruct you about other ways of being. Schachter, Michael M.D. What Your Doctor May Not Tell You About Depression. Warner Wellness. New York. 2006. Servan-Schreiber, David M.D. The Instinct to Heal: Curing Depression, Anxiety, and Stress Without Drugs and Without Talk Therapy. Rodale. 2003. Ortman, Dennis PhD. Transcending Post-Infidelity Stress Disorder. Celestial Arts. Berkeley, California. 2009. (focuses on the trauma of spouses whose partner cheated on them and the healing process). Nogales, Ana PhD. Parents Who Cheat: How Children and Adults are Affected When Their Parents Are Unfaithful. Health Communications, Inc. Deerfield, Florida. 2009. Looks at the generational effects of infidelity.